… but the journey continues. HERE is a day-to-day account of what happened, narrated by the participants themselves … take a look and explore the many other exiting details about the #CoLab489! While the world is moving together, it seems that important factors are yet to be put into place in order for stakeholders across the board to work together as global citizens to tackle the big issues of our time. With a leadership ideal that embraces diversity, forges equitable and sustainable solutions, and nourishes collaborations beyond boundaries of religion, race or geography, the Melton Foundation and the Ernst-Abbe-Stiftung are convening emerging leaders from across sectors and geographies to learn, collaborate, and co-create meaningful solutions to advance Sustainable Development Goals (SDGs) on a local level with the global context in mind. Industry, Innovation and Infrastructure (Goal 9). We are calling this combination of goals “489 UN-limited”. 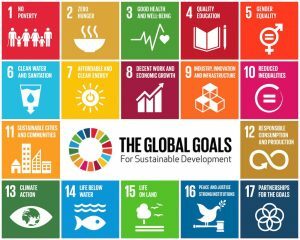 Over the course of six days, participants will gain a deeper understanding about these SDGs, explore how they intersect, and develop strategies to mobilize meaningful actions in their communities and in their growing spheres of influence in order to generate impact locally and help push the needle on a global scale. The Global Solvers Co-Lab: 489 UN-limited will take place from 22 – 27 September 2018 in Aubervilliers, France. What to expect from the Global Solvers Co-Lab? The Global Solvers Co-Lab: 489 UN-limited is the space where sectors, cultures, identities, and know-how converge into something “greater than the sum of its parts”. It’s a space to deepen understanding of complex global issues, grow capacity, build networks for impact, and broaden your impact horizons. It’s a space to pivot your passion, drive and expertise as you connect, collaborate and co-create hands-on with emerging leaders from across place, identity and field. It’s an opportunity to envision and help create a future that ensures lives of dignity for all – starting with you. You can be one of 25 Global Solvers from around the world to participate in a life-changing experience! As participant of the Global Solvers Co-Lab:489 UN-limited, you’ll be a co-driver of the activities. Expect to engage in intensive collaboration for the entire event, sharing your unique perspective, experiences, and approaches through a series of interactive work sessions, excursions and more aligned to the SDGs and goals 4, 8 and 9 in particular. Through this facilitated collaboration, the Co-Lab drives insight and inspiration to hone skills and catalyze solutions with sustained impact. To find out more, download the Conference Booklet here! 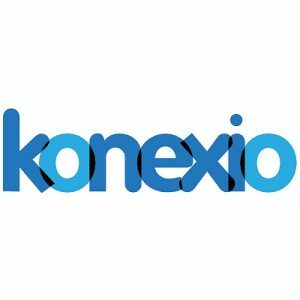 What expenses should you expect as participant? We know that expenses for travel and visa can become an issue, esp. for those traveling from afar. Therefore, candidates who have been selected as participants of the Global Solvers Co-Lab can apply for financial support for their travel. In addition, we encourage participants to organize crowdfunding campaigns in support of their expenses to attend the Global Solvers Co-Lab, including the participation fee. This is a powerful way to raise the needed funds AND build awareness for your cause simultaneously. Here are 10½ tips to help you organize the campaign and reach your crowdfunding goal. The participation fee includes lodging, meals, full access to the activities during the Global Solvers Co-Lab, plus a Certificate of Completion. Selected participants are expected to pay the fee in order to confirm their attendance. The Co-Lab provides tools, resources and the impetus to take ownership of and act on the most urgent challenges the world is facing. Based on the conviction that strength is born of diversity, participants from across the globe and different sectors can apply, as long as they meet the following expectations. Contents are best suited for students or early career professionals between 20 – 30 years, who are growing their capacity to be 21st century leaders. You can be from any field of study or industry – the Global Solvers Co-Lab is where science meets arts meets engineering meets humanities …. While advanced knowledge about the SDGs in focus is not required, strong interest plus some practical experience in related field(s) are crucial for the Co-Lab to be impactful. Complex issues demand networked solutions. That’s why you should bring the willingness and drive to be part of a highly diverse group of people working towards shared solutions – at the Co-Lab and beyond. Global Solvers can be many things, activists, (social) entrepreneurs, intrapreneurs, researchers, engaged citizens. Whatever your field, the Global Solvers Co-Lab helps springboard your capacity. Therefore, previous engagement is preferable – be it as a volunteer, a member of a local committee, a supporter of a campaign, or as someone who’s making a living by driving change. At the Co-Lab, it’s not just talk. We expect to roll up our sleeves and get to work – collaboratively and creatively – as we unpack global issues and design tangible solutions to tackle them. Having an idea of what you hope to take on following the event will allow us to do so with dedication and focus. A solid knowledge of the English language (professional working) is necessary to participate. Being a Fellow of the Melton Foundation, a beneficiary of the Ernst-Abbe-Stiftung, and/or a collaborator of any of the organizing partners is a plus yet not a must. The Global Solvers Co-Lab will be fun, engaging, experiential, and it means quite a bit of work – prior, during and after the event. Because we cherish diversity and constructive collaboration, people from different backgrounds and lifestyles will share space and rooms. It is essential for all of us to be respectful of each other in order to ensure a productive and conducive environment throughout the Co-Lab. If you want to get to know Aubervilliers, an exciting city near Paris, as a tourist please come earlier or stay longer after the Co-Lab. This is an adventure for us all: be flexible, stay focused and have fun. Apply To Be A Global Solver! Are you ready to push the needle? Join the Global Solvers Co-Lab: 489 UN-limited and boost your knowledge, tools, and passion to advance Sustainable Development across the street and across the world! Apply by April 29, 2018! Be one of 25 Global Solvers to embark on a life-changing journey at the Global Solvers Co-Lab: 489 UN-limited happening from 22 - 27 September in Aubervilliers, France! Once you have your materials ready, submit your application together with the link to download your short video using this online form. Should you encounter issues using this online interface or have general questions regarding the application, please contact global-solvers(at)meltonfoundation.org. Application Deadline is Sunday, 29 April 2018! Following the application deadline, we will select up to 25 candidates to participate in the Global Solvers Co-Lab. Watch out for a message towards the end of May 2018 with an update about the status of your application. 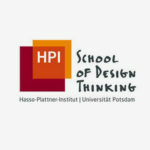 Selected participants will receive detailed information about the next steps, including specifics about the payment of participation fees, travel planning (and financial support for travel), as well as materials to prepare for the Co-Lab in September. 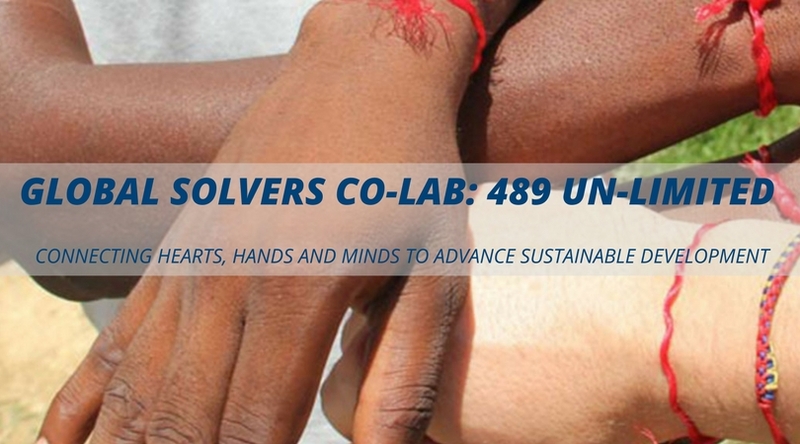 Let’s connect hearts, hands and minds to advance Sustainable Development at the Global Solvers Co-Lab: 489 UN-limited this September! The Global Solvers Co-Lab: 489-UN-limited is organized by the Ernst-Abbe-Stiftung and the Melton Foundation - here's a little more about our work. The Ernst-Abbe-Stiftung (EAS) promotes science, research and innovation by providing technical infrastructure and granting subsidies for diverse science projects. Named after the German physicist, entrepreneur and social reformer Ernst Abbe (1840-1905), EAS has been operating as non-profit foundation since 1992 in Jena (Germany). To facilitate knowledge transfer across sectors and support new businesses and young entrepreneur, EAS operates the Ernst-Abbe-Centre for Research and Transfer in Ilmenau (Germany) and the Center for Bio Instruments in Jena (Germany). To advance the quality of research and teaching, they awards faculty chairs at universities across the state of Thuringia (Germany) and provides scholarships to highly talented students at these universities. They also offer a junior funding program for PhD students. EAS furthermore manages the Zeiss-Planetarium and the Optical Museum in Jena (Germany) in order to promote significant contribution to science. 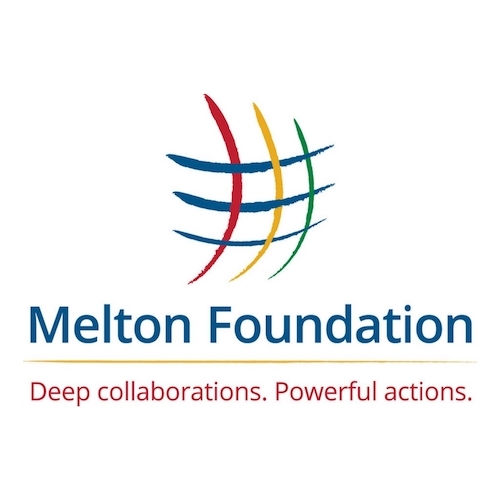 The Melton Foundation (MF) promotes global citizenship as a way for individuals and organizations to work together across boundaries of place and identity to address global challenges. To achieve this, the MF offers a fellowship to young change agents in order to develop their capacity as effective and ethical leaders, equipped to act locally, with a global context in mind. The fellowship entails a 2.5 years experiential learning program, which equips Melton Fellows with the necessary skills and tools to work together on shared solutions to the challenges of today’s interconnected world. 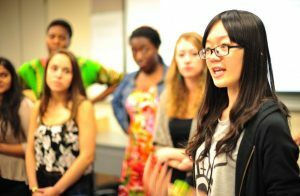 After they graduate from the program, they join our “Senior” Fellows network to drive impact as a role model for global citizenship in their expanding network. Since its founding in 1991, the Melton Foundation has built a network of over 500 Melton Fellows. It carries out its programs in collaboration with experienced Senior Fellows and myriad partner organizations worldwide. 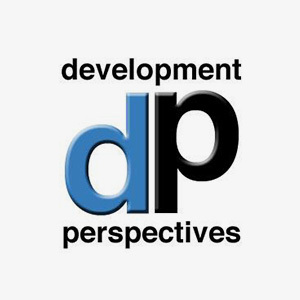 Development Perspectives is one of the key content partners at the Global Solvers Co-Lab: 589 UN-limited.